Last night was the Press Preview and the MOS was kind enough to invite all of us to join them and see the exhibit first hand. We were not disappointed! 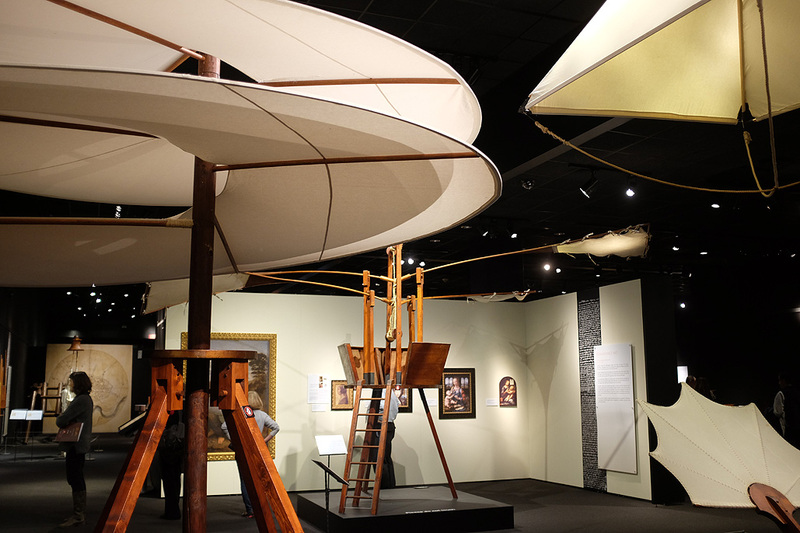 With over 200 exhibit pieces and 17 different sections, this was the most extensive exhibit we have ever seen on Da Vinci. From what we have read of the man, however, even this show only touched upon a small slice of his astonishing output. The world knows of Leonardo’s work through his creations/inventions, his paintings, and his writings. A number of his notebooks survived his death, but were divy’d up and reorganized over the years into what the world knows as codices. While we have seen photos of these codices, this was the first time we saw them reproduced in their actual sizes and variety. 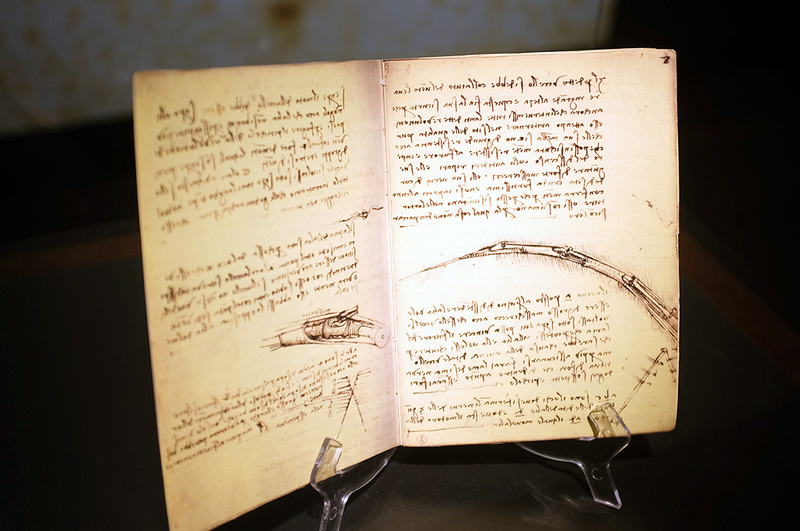 Because of the, reorganization, of Leonardo’s notebooks we can’t be exactly sure how he ordered his thoughts and how he might have related them to each other, but we do not feel it is an exaggeration to call them works of art in themselves. Italian craftsmen/artisans recreated life-size versions of Leonardo’s ideas contained the codices for this exhibit using the materials, tools, and techniques of the 15th and 16th centuries, Many of those mechanical machines were clear precursors to those which we take for granted today: helicopter, airplane, cars, parachute, bicycle, and even the submarine! To say Leonardo was ahead of his time is a mild understatement. His interests were wide and varied. His inventiveness was based on solid principles derived from his personal curiosity, imagination, and real-world observations. For many of his “creations,” the factor which kept them from working was not the design, but the materials Leonardo had available to him, which could not make them functional. Just imagine if he had access to plastic, carbon fiber, and electricity! 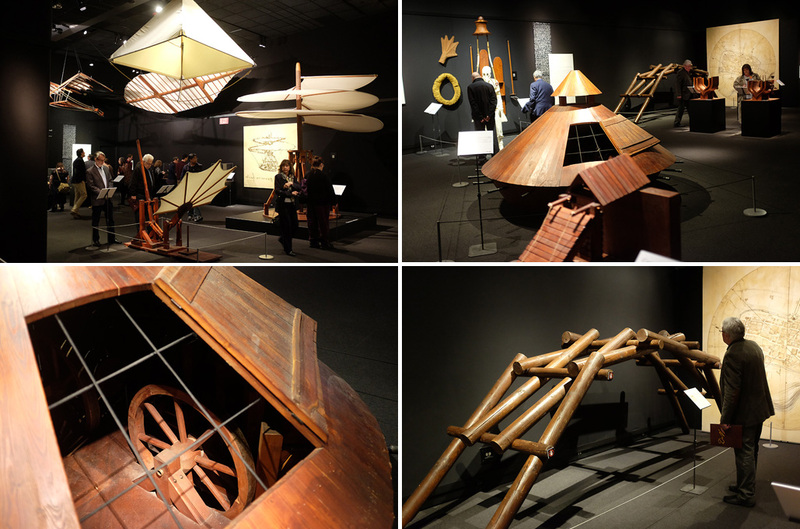 Since this exhibition is at the MOS we expected to see displays of Leonardo’s engineering and mechanical genius. While we anticipated a mention of Leonardo’s artistic talents and his famous Mona Lisa painting, we had no idea that it was one of the cornerstones of the exhibit! The various stations in the Mona Lisa section not only talked about the painting, its history and mystery, but highlighted the science and technology which has given rise to many of the recent discoveries about this work. 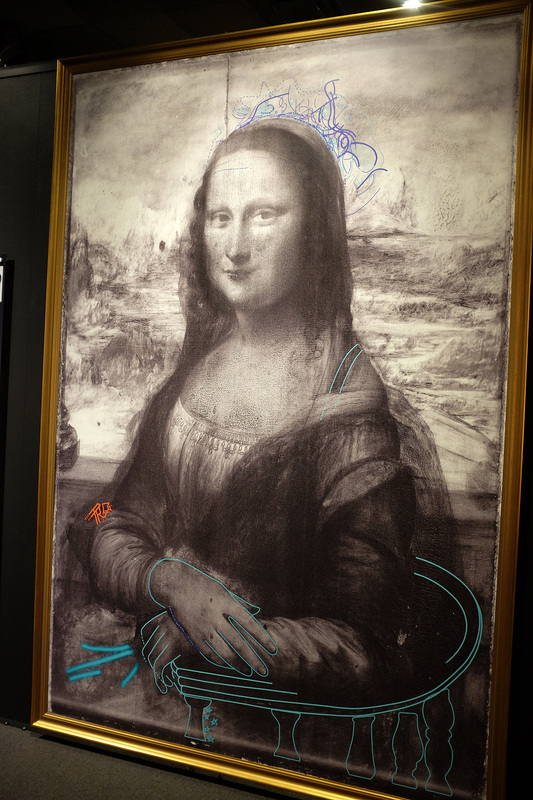 Pascal Cotte, a French scientist, was given unprecedented access to the Mona Lisa for two years in order to analyze the painting using the latest in multi-spectral digital imaging technologies and techniques. This intersection between science and art was one of the most fascinating aspects of the exhibit. The results and revelations from the effort is beyond the scope of this brief review. All we can say is don’t miss it! 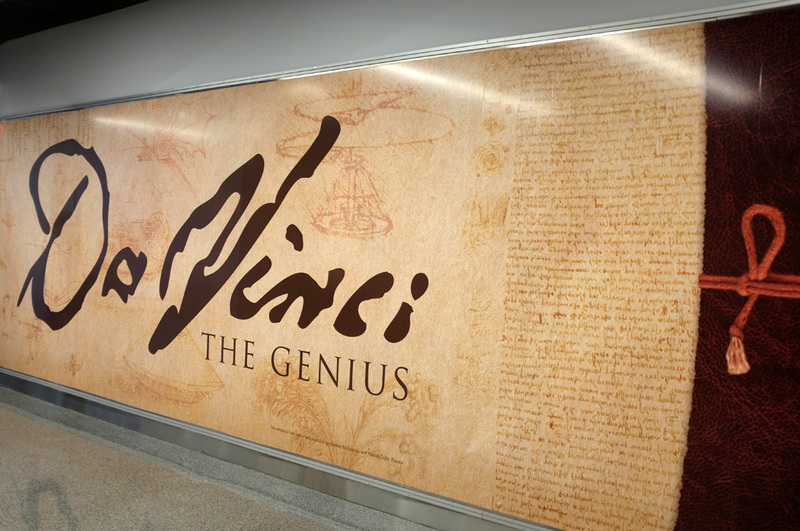 Da Vinci – The Genius will be at the MOS from now to February 26, 2017. We plan on following our own advice and will be going back at least two more times. Come and join us!